Over the next decade, China’s monolithic, top-down education system must change because of increasing social and economic pressure for reform. China’s current education system is nothing if not impressive. After all, its schools have taught 1.3 billion people to read and write one of the world’s most complex languages. That’s primarily thanks to the nation’s test-oriented system, which guarantees that all Chinese citizens attain the basic knowledge necessary to function in a socialist economy. But faced with a free market global economy, China is seeing the limitations of this time-tested system. Chinese students may memorize textbooks all day before university entrance exams, but once accepted many quickly revert to World of Warcraft. Most American students may be no better, but there’s still a minority that thrive in the free, open and rigorous environments colleges offer, and go on to become some of the world’s best scholars, thinkers, innovators and entrepreneurs. As a result, multinationals and Chinese companies alike may find their growth limited by the lacklustre nature of Chinese university graduates, many of whom can’t find work. Even those who do are often paid no more than migrant workers. 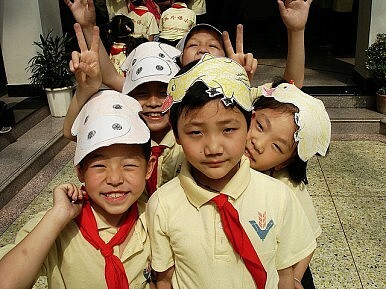 Among the myriad threats to China’s continued economic expansion, education is one of the most pressing. Today, many in China’s rising middle class are choosing to send their children abroad: Current estimates place 128,000 Chinese students in the United States alone. And while most of these students will return to become the country’s next generation of managers and entrepreneurs, the Chinese economy is far too large and diverse to become dependent on such students alone. Over the next decade, China’s monolithic, top-down education system must change because of increasing social and economic pressure for reform. The next 10 years in Chinese education will be marked by chaos and conflict, which will ultimately lead to a system of choice and diversity. China’s best universities tend to be stifled by intense bureaucracy, with a party secretary holding the real power and pushing forward his political orthodoxy as a priority. Chinese universities need autonomy and intellectual inquiry to be able to inspire professors and students to engage in cutting-edge research. Therefore, privatization may be a viable solution here, and while it may lead to corruption, some universities will still thrive and rise to global pre-eminence. What will drive the privatization of Chinese universities? The West’s very best schools entering the China education market. This is already happening to some degree; Duke University recently launched a new campus in China, and the University of Chicago already has a de facto embassy in Beijing. And although currently Western schools can’t recruit Chinese K-12 students, this policy is likely to relax as the Communist Party realizes a well-educated middle class is fundamental to economic growth and thus to its hold on power. Perhaps eventually, Western schools with unsuitable business plans will also be drawn into China as well, although with a little luck the market should sort all that out too. But overall, healthy competition from Western schools holds real promise for the rise of better Chinese schools, which will in turn help foster a more vibrant and dynamic Chinese economy. Jiang Xueqin is a blogger for The Diplomat’s China Power section and a deputy principal at Peking University High School and the director of its International Division.